Mexican food is my family’s all time favorite. 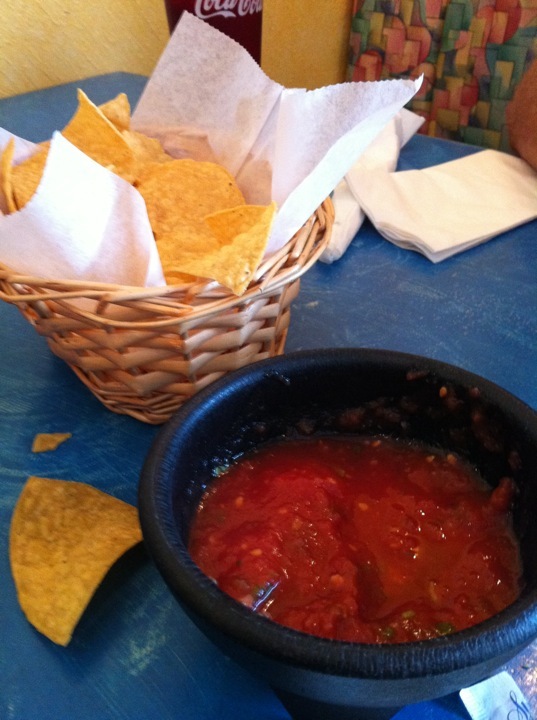 We actually have a very good Mexican restaurant in Lincolnton that serves up freshly made food (no preservatives!) and makes a killer margarita. Taco and Tequila is run by Lucy Dorantes who comes from Mexico City and has made a name for herself in Lincolnton by serving up great food and a great price and treating her customers like family. I’ve never had anything that wasn’t good at Taco and Tequila, but my all time favorite dish is probably the chicken chimichanga. It’s heart-cloggingly delicious with chicken wrapped in a flour tortilla, deep-fried and then smothered in cheese sauce. The tacos are pretty great here, too. If you are no good at making up your mind, come on Sunday when they have a lunch buffet and sample a little of everything!